Some swaps say, “Documentation will be provided,” or something like that. Here’s what that means: The person organizing the swap will provide a list of everyone who participated in the swap, mailart call, or whatever. Many swaps may not include a list of participants. (Mailart calls usually do.) That’s at the discretion of the swap host, and it’s usually announced ahead of time. Here’s another tip: If you’re in a swap that’s 5-for-5 or something like that, the list of participants is not a list of whose art should be in the envelope you receive. Unless the participant list is established before the swap — and that’s rare, although some hosts (like Red Dog Scott) may do this — you will never receive one item from every swap participant. What you’ll receive is the number of items specified when the swap was announced. And, you may receive a list of who else participated in the swap. When organizing an art swap of any kind, postage can be a Very Big Headache. 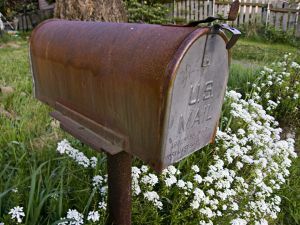 Here are some tips to keep the postage problems to a minimum. Different people send items that are varying sizes and — more importantly — different weights. Even in a cloth doll swap, you never know who’ll embellish their dolls with feathers, and who’ll use metal hardware, lots of beads and/or thick clay additions. Weights can vary considerably! The same goes for zine swaps. I mean it. You might be amazed to see the things people attach to zine pages or include as treats or tipped-in to the zines. Never assume that the package being sent to you will require the same amount of postage as the one you sent to the swap host. Many people — including me — insist that the swaps have to fit in a Flat Rate Priority container, either the Flat Rate envelope, or a particular Flat Rate box. That resolves most postage issues, since all the packages will cost the same to ship. Then, we ask for postage to cover shipping the swap to you. IF you want Delivery Confirmation, include the postage to cover that, as well as the completed form, already addressed to you. Remember: If you don’t ask for Delivery Confirmation and your swap is lost in the mail, you cannot accuse the swap host of failing to mail it… unless the entire group never received their swaps, either. It’s important to send exactly what the swap host requests. Send the right number of items. Send the exact amount of postage requested. Include a mailing label or an addressed return envelope/package… whichever the swap host asked for. Put your postage on the return envelope, unless the swap host told you to. Omit the return envelope, IF the swap host told you to include it. 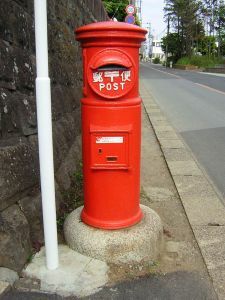 Omit a mailing label that already displays your address. Swap hosts should not have to hand-address the packages. Ask the swap host to use a different form of shipping than was announced in the swap. In other words, read the swap instructions and follow them exactly. Hosting a swap can be more work than people realize. Make the host’s work as easy as possible. Swaps are wonderful fun! Encourage people to host swaps by making their work as easy as possible… follow their rules! *Don’t ask which swap it was. It’s over. I’ll make the rules far clearer — and I’ll be far stricter — in future swaps with that group. When you’re participating in art or crafts swaps through an online group or community, the numbers may confuse you. Here are some tips to help you understand how swaps work. When a swap is 3-for-3 or 10-for-10 or anything like that, it means you’ll receive the same number of items that you sent. You’ll send four items and receive four in return, or whatever. It does not mean that you’ll receive one item from each player. When hosts organize swaps, they have no idea how many people will play. So, a 5-for-5 swap means you’ll send five items and receive five in return, even if 150 people are in the swap. Many swap hosts figure that organizing swaps is enough work. They don’t necessarily want to make something for the swap, too. Those kinds of swaps will be announced as 5-for-4 or 10-for-9, or something like that. The first number is how many items you’re sending. The second number is how many items you’ll receive in return. You’ll send the requested number of items, and the swap host will keep one of them (as a thank-you gift) before sorting the items to send out. At the present time, most swaps seem to be organized that way. So, if you sent 10 items but received 9 in return… that’s exactly what you were supposed to receive. Some swaps are organized for fun, but also to benefit a specific group, usually a women’s shelter or a children’s hospital, or something like that. The charity is always specified in the swap announcement, and a link usually helps you understand why this is an important charity or organization to help. However, we’re generally careful not to sound like we’re trying to recruit people to join or support the charity. It’s a fine line, but an important one when the charity is related to a particular religion or political group. Those swaps may be something like 5-for-4 or 10-for-9, but they may be 7-for-5 or 10-for-8, or something different. So, you might send 6 items and receive 4 in return. One of your items might be kept by the swap host as the usual thank-you gift, and one of your items will be donated to charity. Though I can post tips like this, every swap is different. Always read the rules carefully, and follow them to the letter. That will make the swap more fun for everyone, including the swap host and you. Swaps are great fun, and a wonderful way to meet other artists and see their art in person. I encourage everyone to get involved in swaps… and to host swaps when you can.